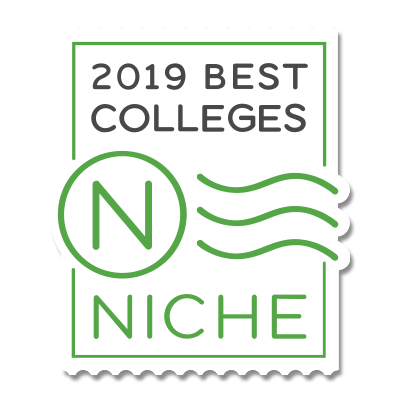 Aside from convenience to classes, labs, the dining hall, the Alumnae Library, the Maguire Fitness Center, Leary Field, and many other events and activities, living on campus in one of three residence halls keeps you close to all the action. 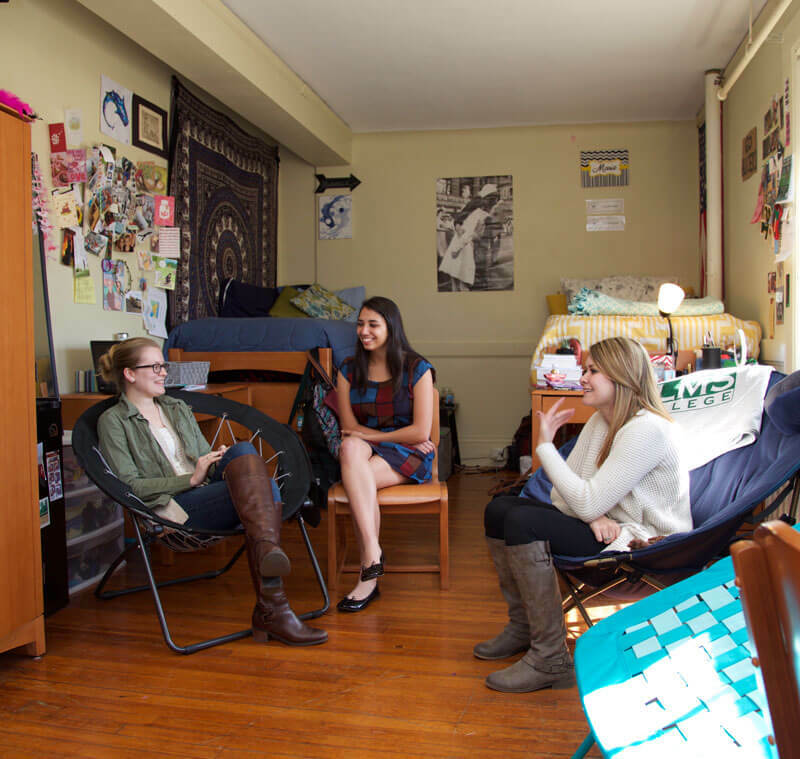 Devine Hall is the only all-women campus resident housing option for first year and upper class students. Residence hall social activities are focused on leadership, health, careers, spirituality, and community – all tailored to women. Devine houses 40 students on two floors of double rooms and is conveniently located next to the Maguire Center (campus fitness center). Devine Hall boosts a large common room that includes a full kitchen and a laundry room. O’Leary Hall, built in 1922, is our oldest and one of the most familiar buildings on campus. Available to upper class students, O’Leary provides a variety of living spaces. This hall houses up to 180 students with options for single, double, triple, and quad rooms on all four floors (men and women live on separate floors). Each room has unique features, from walk-in closets, to large windows, to nine-foot ceilings. Common spaces in O’Leary are very comfortable and just as unique. O’Leary has both small gathering alcoves on each floor and a large common room with a flat-screen TV on the first floor. O’Leary also has the “Great Hall,” a large oriental-carpeted common room for studying, and large group events. Rose William Hall (Rose), our largest residence hall is a first-year student living option. Resident Advisors (RA’s) on every floor will work to help you connect with other students and to get you involved on campus to help familiarize you with our community so that you make the jump from high school to college a great experience. Built in 1964, Rose houses up to 180 students on three floors and is located closest to the college center. Men and women live on separate wings on each floor, sharing a large family-room styled common area and kitchen with microwave, fridge and sink. There is a large common room area on the first floor with a wide flat-screen television for you and your friends to watch events together.